Home Page | Posts tagged "Coffee Near Me"
HOUSTON – A new coffee shop in Houston’s Spring Branch neighborhood offering drinks and food made with cannabidiol opened Saturday to a steady stream of excited customers. 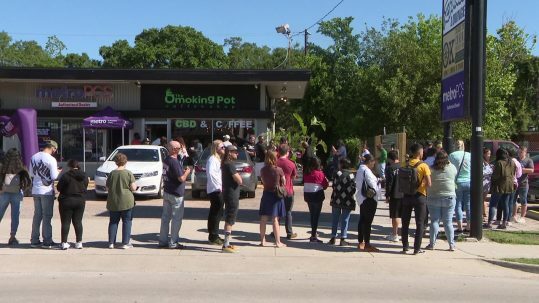 People lined the parking lot of The Smoking Pot, located at 8510 Long Point Road, waiting to get their hands on not just coffee, but also everything from topical ointments to bread to popsicles infused with CBD oil. CBD is derived from the hemp plant. According to the Centers for Disease Control and Prevention, the chemical does not make the consumer high because it acts on different parts of the nervous system than THC, the compound that gives marijuana its high. Walling said some people report many benefits, such as pain relief, reduction of anxiety and help with sleeplessness. Blake McCray said he and his wife have noticed the benefits, and he’s glad to see the enthusiasm about the shop. A woman who would only identify herself as “Miss Pudgy” said she was feeling adventurous. The shop will be open from 8 a.m. to 8 p.m. each day. Another CBD coffee shop is expected to open in east downtown Houston this summer, according to Houston Eater. An Army veteran opened CBD MED in Baytown in March. No matter which way you brew it, it can’t be denied that coffee has evolved from a humble bean into a beverage and eventually into a cultural phenomenon. Studies have shown that the average American spends approximately $1,100 per year on the delicious brew. In fact, according to a recent report conducted by Acorns, Millenials admit to spending more money on their robust coffee habit versus a robust retirement plan. Digging a little deeper we find that Americans consume the most coffee in the world. Year after year the number of Americans who drink coffee continues to rise with coffee drinkers averaging three cups of go juice per day. 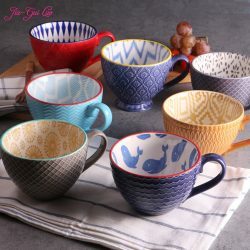 With the proliferation of coffee houses on every corner and the culture associated with it, one might think that most people buy their daily cup of joe outside of the home. But, really the opposite is true. In a study commissioned by The National Coffee Association, researchers found that most people make their own coffee at home. A whopping 79 percent of participants said that they brewed their own coffee at home the previous day, while only 36 percent owned up to getting their java on the run. This could prove to be a costly mistake. One of the greatest bits of life advice is: you always save money by making it at home, whatever “it” may be. And coffee is no exception. When buying a coffee at a coffee house can run you anywhere from $1- $5, brewing your own coffee at home can cost approximately $0.16 – $0.18. That’s just simple math, folks and a pretty convincing argument for home brewing. So now that you’re in the market for a coffee maker, you may find your decision to be a little harder than expected. Price points and reviews are all over the board, we know this because we’ve shopped for them too. But never fear, we’ve put together a roundup of 7 of the best coffee makers to help you out. 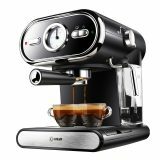 The Cuisinart DCC-3200 is a 14-cup programmable coffee maker with a glass carafe. With adjustable carafe temperatures, adjustable brew strength, auto shut off and a self-cleaning option it’s easy to see why this one makes our short list. The Ninja hot and cold brewed system is one of the most versatile coffee makers on our list. 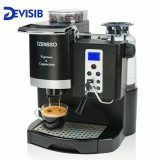 With a built-in milk frother and 5 different brew styles, this home brewing station can give you that coffee house feel. If a regular cup of joe just isn’t your style this Mr. Coffee might be right up your alley. 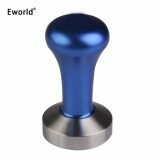 With three types of specialty brews available at the touch of a button (espressos, cappuccinos or lattes), this one is a must for home brewing. The Bunn Velocity Brew gives you a quick 3-minute brew with no loss of flavor. 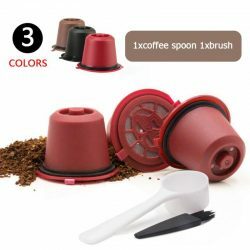 The multi-stream spray ensures full saturation of grounds to yield a great tasting cup of joe. The Hamilton Beach 12-Cup Programmable Brewstation is certainly one of the more budget-friendly options on our list. But the low price point doesn’t skimp on great features. The internal tank eliminates the need for a carafe. 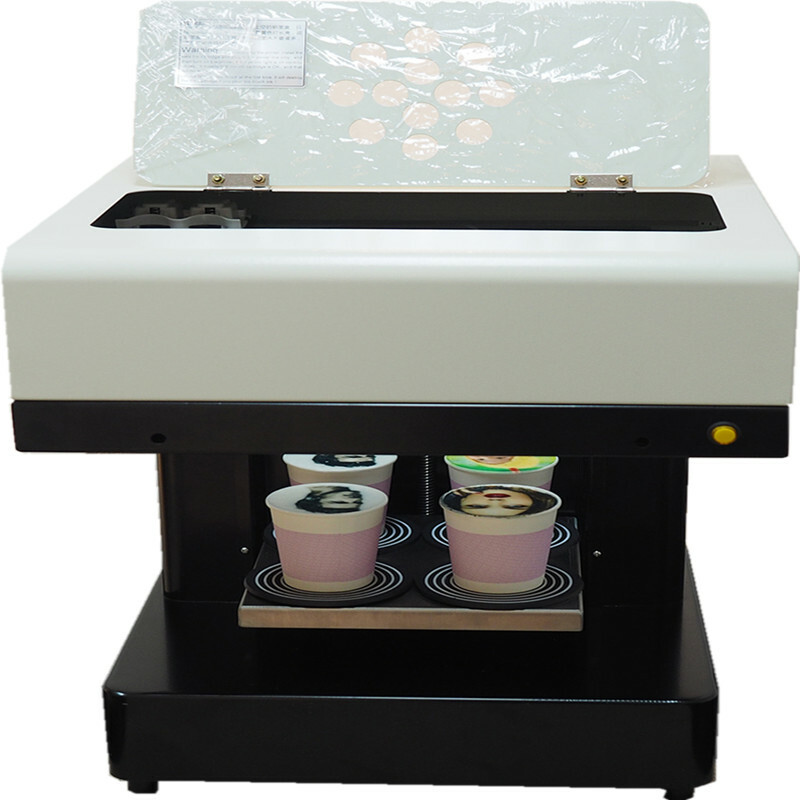 Coffee can be kept warm for up to 4 hours and a push bar dispenses coffee one cup at a time. The Ninja 12-Cup Programmable coffee maker has an extra large shower head for maximum ground saturation. 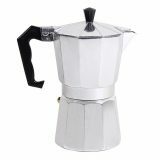 With thermal flavor extraction, adjustable brew settings for classic, rich and small batches you’r sure to get a great cup of coffee with every brew. The Cuisinart Grind and Brew freshly grinds coffee beans before brewing. It has an adjustable grind control, adjustable brew strength, and a gold tone basket filter. New Godiva cafe in New York. Belgian chocolate maker Godiva wants you to think of it when you want a breakfast sandwich, a lunch salad or an afternoon pick-me-up coffee and cookie. The 93-year-old confectioner on Thursday opened its first cafe in the U.S. in New York’s Midtown East, featuring many firsts of their kind for a brand known for its collection of premium chocolates. For example, for the 1,200-square-foot cafe, Godiva created and even trademarked the Croiffle, or a croissant pressed into a waffle iron; designed its own signature coffee and teas, such as black tea with Godiva cocoa nibs; and created dark chocolate lava and white raspberry oatmeal cookies inspired by its chocolate flavors. Godiva cookies inspired by its chocolate flavors. 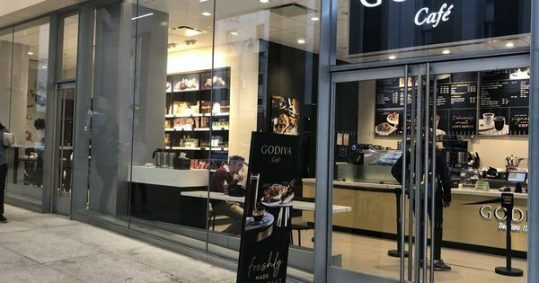 While Godiva already has about 50 cafes in Asia, the Middle East and Europe that it opened over the past five years, as well as a pop-up cafe inside New York’s Penn Station that it opened in January, Young-Scrivner said the new permanent New York cafe’s concept and menu were the result of a 13-month effort that involved consumer research and taking the best practices and insights from the company’s existing cafes around the world. Some 85% of the New York cafe’s menu is new, a company spokeswoman said. Why so much focus on this new cafe? Godiva sees it as a model that can be replicated and expanded to 2,000 cafes worldwide in six years, including 400 in the U.S., Young-Scrivner said. The combination of the growing cafe business and the company’s signature chocolate gifting and chocolate packaged goods distribution business in supermarkets, department stores and other locations will increase Godiva sales fivefold over the next six years, with cafes representing two-fifths of the company’s total business, she said, adding that Godiva has 800 stores globally. Young-Scrivner, a former Starbucks executive, declined to give any specific financial information about the privately held company, which was sold by Campbell Soup to Turkish conglomerate Yildiz Holding for $850 million in 2008. The global chocolate market is fragmented but growing at a faster pace than the overall confectionery market, according to data from market researcher Euromonitor. In a sign it may still have plenty of growth potential, Godiva held a share of about 0.8% of the $110 billion global packaged chocolate confectionery market last year, ranking it No. 17, compared with the 5.2% share held by No. 1 Cadbury. In the U.S., Godiva had a 1.8% share of the $20 billion chocolate market, placing it in 14th place. Hershey’s Reese’s and Mars’s M&M’s each had about 13% of the U.S. market in 2018, landing them in the top two slots, Euromonitor data shows. Godiva’s ambitions also reflect the growing trend of many traditional packaged food brands expanding or opening their own cafes and restaurants as they seek to cultivate better direct interactions and communications with consumers while responding to the growing desire for experience. Hazelnut spread maker Nutella, cereal maker Kellogg and pasta label Barilla are just some examples of brands that have opened their own cafes or restaurants. Meanwhile, Young-Scrivner’s former employer, Starbucks, is expanding its coffee-museum-like Reserve Roastery concept. So how does the new Godiva cafe aim to stand out from a growing crop of competition? It’s not surprising, then, that the cafe menu includes Belgium’s signature liège waffles. The demands of millennials and other younger customers also aren’t lost on Godiva, which is “entertaining” mobile order-and-pay and delivery services, Young-Scrivner said. And that means opening the doors much earlier than its traditional stores, at 6 a.m.
Cedar Rapids, IA — At 8:03 p.m. Friday night, firefighters responded to a fire alarm and sprinkler flow alarm at Riley’s Cafe. 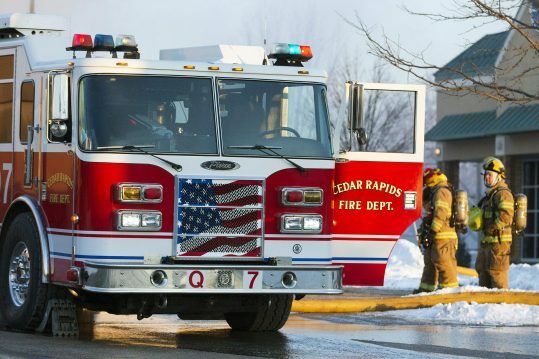 The Cedar Rapids Fire Department and Hiawatha Fire Department both responded to the scene, where an official release says they found a light haze inside Riley’s Cafe. Using thermal imaging, firefighters reportedly checked the ceiling in an area already impacted by a fire Thursday afternoon. After discovering hot spots, the firefighter reportedly began removing ceiling tiles and identified burning insulation and falling embers. Firefighters reportedly discovered multiple instances of burning insulation above both Riley’s Cafe and the neighboring Broken Spoke, both of which had already been closed because of Thursday’s fire. According to the report, potable and fire suppression systems were damaged. Riley’s Cafe was impacted by a broken line in the ceiling and Broken Spoke reportedly had an impacted hot water line. The report states both Thursday and Friday’s fire have been ruled unintentional. Thursday’s fire is reportedly the result of radiant heat exposure that ignited wood behind the stainless steal surrounding the stove in Riley’s Cafe kitchen, and Friday’s fire was reportedly the result of an electrical fire. You have to admit it’s getting better. 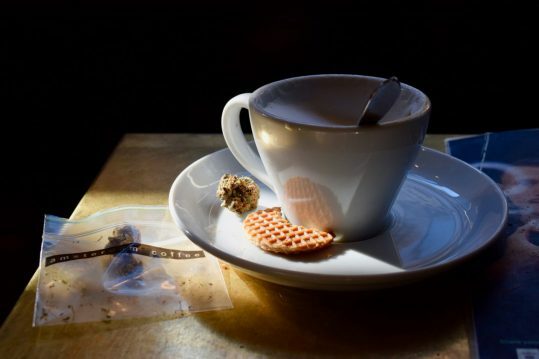 So reports Karina Hof, a longtime Sprudge staff writer based in Holland, who has for years been fascinated by the disconnect between Amsterdam’s famed “coffeeshops”—lounges where legal cannabis is sold and consumed freely—and the actual coffee served therein. In a city with one of the world’s great modern coffee cultures, and centuries of history in the coffee trade, why would the famed “coffeeshops” serve high quality cannabis but such low quality brews? Happily that’s changing, and fast. Karina Hof reports to us today from Amsterdam, just in time for the global 4/20 cannabis holiday. By 2016, Amsterdam had an astounding 173 coffeeshops—lounges where cannabis can be bought and consumed onsite, much to the delight of tourists, expats and yes, evens some locals. For an article on this site the year before, I went looking for an enjoyable coffee to have at the city’s cannabis purveyors, many of which offer patrons a place to sit and smoke, snack, and sip. There were a couple of OK cups, including one prepared with what could be readily identified as “specialty coffee”, but mostly I encountered over-extracted old-school-Mediterranean dark roasts and staff who were caught off guard by my inquires; sometimes it felt as though I was asking such a trivial or taboo question, like: who provides your toilet paper? Here in spring 2019, I revisited the assignment, finding that in four years, the number of coffeeshops serving specialty coffee had quadrupled. The figure itself is not extreme, but it shows evolution—perhaps as much of specialty coffee’s democratization as cannabis culture’s mainstreaming. Five places described here use coffee from either Australian-headed, Amsterdam-founded Lot Sixty One or the longer-established Dutch operation Bocca, both of which are among the Netherlands’ larger specialty roasters. 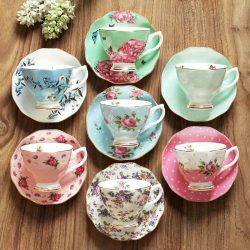 These brands appear in cafes, restaurants, and stores around the country, but to experience them in a coffeeshop imbues in that euphemism for these venues a new, true meaning. Today, Tweede Kamer and its sister business, Coffeeshopamsterdam, send their staff for barista courses at Lot Sixty One, which Bakker points out is a smart move since Tweede Kamer as a training space is “too small probably.” Elbow-to-elbow seating does not deter their loyal, diverse clientele. No wonder that American tourist’s dying wish: to have his ashes preserved at his favorite coffeeshop—worry not, the urn is on a shelf well above the strains and the beans. On what Smokers Guide to Amsterdam calls the High Street owing to its concentration of coffeeshops, one that stands out for its plainly memorable (in the long, not short, term, naturally) is Coffeeshopamsterdam. Formerly known as Dampkring II, this venue, which has the same owner as Tweede Kamer though is about triple the size, also sells a cannabis selection from Amsterdam Genetics and coffee from Lot Sixty One. Both budtenders and baristas here are attentive and easygoing, whether handing over with your cappuccino a free mini stroopwaffel or a 10-euro gram of Girl Scout Cookies. When, on a springy Wednesday morning, a soft-spoken server brought to the table the menu’s “Healthy Breakfast”—low-fat yoghurt, low-sugar cruseli, fresh fruits, and a sprig of mint all gingerly arranged in a custard goblet—the place suddenly seemed less like an Amsterdam coffeeshop and more like a Le Pain Quotidien. But instead of bottomless hazelnut spread, there was that common coffeeshop fixture: a glass filled with green leaves of rolling-tobacco substitute. Sure enough, this was Green House United, the largest of the city’s four Green House coffeeshops. With an actual kitchen, it can cater to meal-size munchies day or night and, turns out, perfectly extract a single-origin Brazilian coffee, Bocca’s Soulmate. The light, fresh fare contrasts with leathery maroon furnishings and dim lighting, though the walls are undeniably brightened by Cannabis Cup trophies, smiling stoner celebrity photos, and clips from VICE/HBO’s Strain Hunter. That show follows Arjan Roskam, founder of Green House Seed Co. and the eponymous coffeeshops, as he searches for cannabis landraces on continent-hopping expeditions that sometimes share remarkable similarities with coffee-origin trips. Whether or not the baristas will master latte art, which Aline hopes for, La Tertulia is sure to maintain its unique appeal. The coffeeshop is women-owned and women-operated, has more space than most—upstairs, small groups can comfortably work or play a borrowed board game; outside bistro chairs and tables allow for smoking and sipping al fresco and canal-side—and a respectable snack menu. The toasties come in about a dozen variations (who would have known tomato-chili chutney, zucchini, and pineapple work together?). And the pot brownie is of American-standard dimensions, homemade by a baker to whom Aline delivers her regularly collected shake. You cannot smoke or vape here, but this hemp-heralding lifestyle store deserves an honorable mention. At its core is a bar with a La Marzocco Linea Classic, which Bocca-trained baristas use to prepare Bocca coffee drinks. Hemp milk repeats on the menu, and hot beverages come with a complimentary heart-shaped Hanf & Natur hemp biscuit. From clothes to cosmetics and chips to cookies, much of the goods sold here are made from or with hemp. The shop also well stocks CBD products from world-renowned seed bank Sensi Seeds, whose founder, Ben Dronkers, owns Hempstory itself, the neighboring Hash Marihuana & Hemp Museum, and industrial hemp company Hempflax. Despite being in the middle of the Red Light District, Hempstory is green-leaning—stylistically more Broccoli than Pineapple Express, more GOOP than Snoop—but equally respectful of the aesthetics surrounding coffee and cannabis.